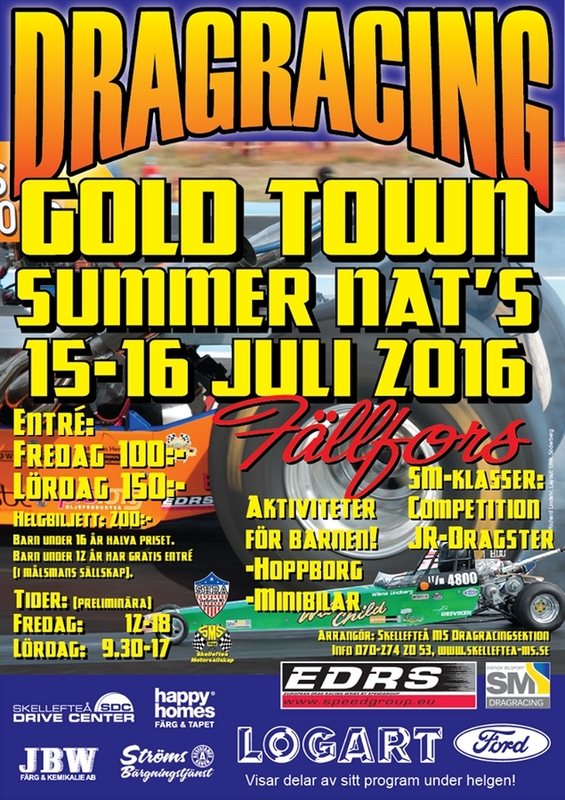 15 July – Last day for sign in to Norways drag race highlight this season! A great happening is coming up in just a few weeks. Gardemoen Raceway is making a grand opening of their new track. Something that nobody should miss. A fresh track surface has been made and a lots of other things is updated at the arena. And more are to come. Carro Strandberg, who is the chairman in the club and race director, wish all and everybody welcome to come to the 23-year-old race event in Fällfors. From the beginning the race was arranged at a street in central Skellefteå. 2005 the event moved to the airfield in Fällfors, just north of Skellefteå. Are You ready for Hagfors Open! 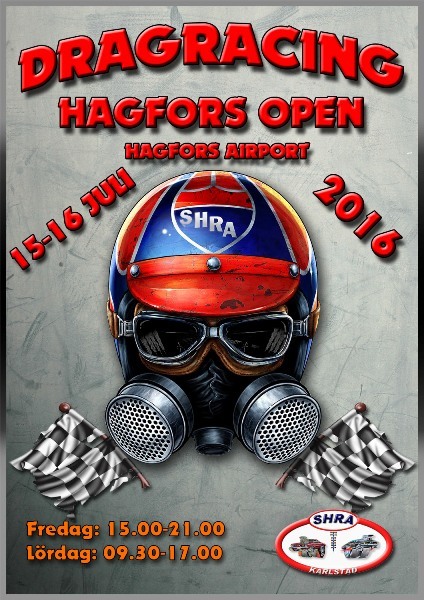 Next weekend 15-16th of July it´s time to set-off to the small but nice airfield in Hagfors. The track is a 1/8-mile track and have a breakout at 4.50.